Spoiler alert: this is not our usual in-depth review but rather a preview or, in the case of the French original launched in November 2012, a notice of availability. Why no review? 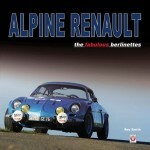 The book is very limited (500 copies), very expensive (€249), and in this form not officially available in the US. We are, however, not flying completely blind because we have a high-quality 32-page, 1:1-size communiqué de presse containing sample pages—and we like what we see! (Any publishers reading this: do not start sending press kits or mock-ups, we will not review them unless your book is supercalifragilisticexpialidocious.) Also, US publisher DaltonWatson is in talks with the French publisher to bring out an English-language version. 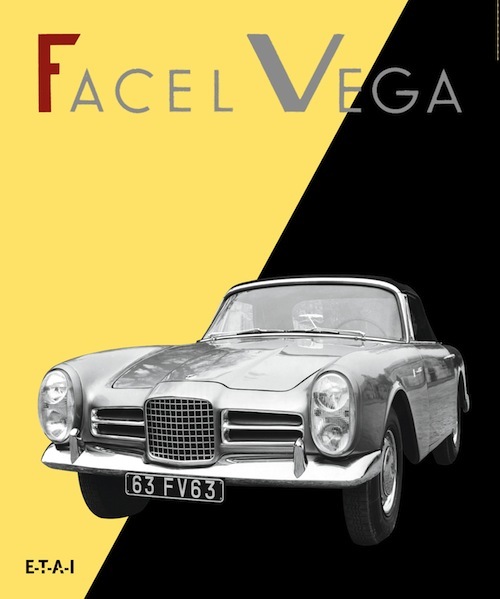 If you know Facel you know the literature on this marque is exceedingly thin. 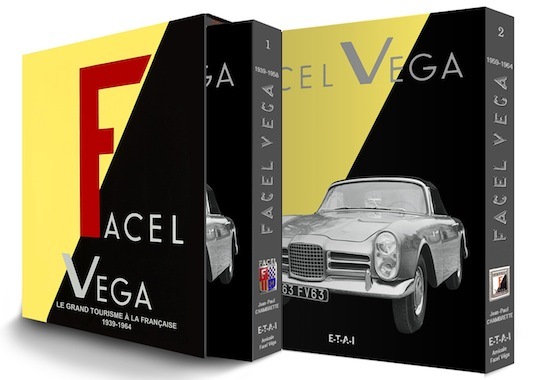 Really the only ones worth having are Facel Vega: Une étoile dans un malentendu d’industriels by Philippe Coignard (Editions du Palmier, 2009) or Facel Vega, Grand Luxe Sportif by Martin Buckley (Palawan, 2008). In terms of production values the latter is comparable to the ETAI book but much smaller (300 pages, 350 photos) and way more expensive (£250 cloth, £750 leather). Any book that improves that state of affairs can thus claim with impunity to be definitive but Chambrette et al really do set a high bar in terms of scope and depth and a staggering amount of illustrations. 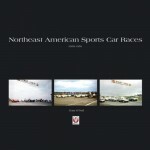 Of the team, only Renou has other car books to his name. 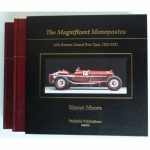 Based on newly discovered documentation this book (actually a set of two, in slipcase) covers all aspects of the firm, from its founding by the Bonzavia Company in 1939 as a subcontracting company for the aviation industry to its foray into the automobile business as a supplier of special bodies for Panhard, Delahaye, and Simca and small runs of bodies for other marques (cf. Bentley, Ford). Vol. 1 goes to 1958 and vol. 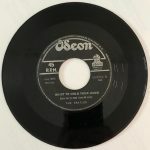 2 covers 1959–64. 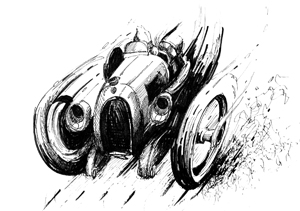 The illustrations alone—period photos, ads, technical drawings—are worth the money and a feast for the eyes, and printing and paper are the typical top-notch quality this publisher is known for. DaltonWatson has produced several ETAI titles in English and in every case made already good books significantly better. We are eagerly awaiting their edition.